Anecdotal wildlife encounters help to remind us we aren’t alone in this world. We share natural landscapes with thousands of species who call them home. 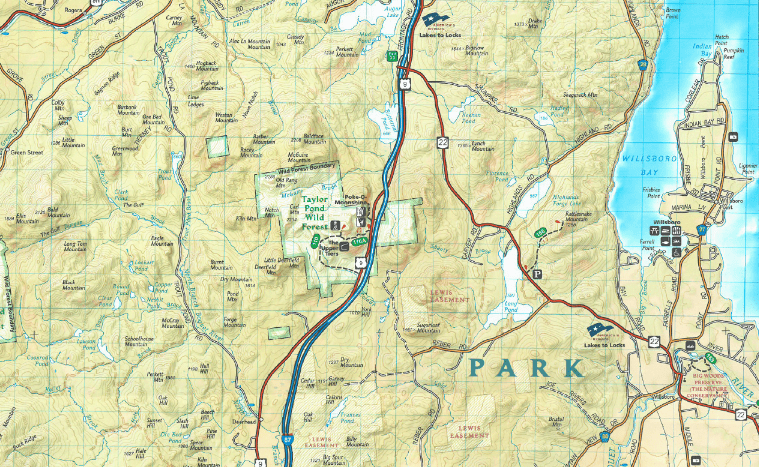 But look at a map of the Eastern Adirondacks and a few things stand out: Lake Champlain’s massive coastline, the Adirondack Forest Preserve closer to the Park’s interior, and the Adirondack Northway (I-87), splitting the region in two. » Continue Reading. 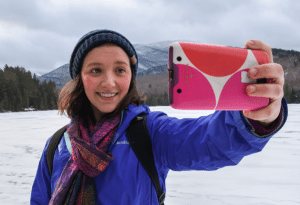 On April 3rd, the Department of Environmental Conservation (DEC) held a public scoping session in Newcomb, seeking suggestions for managing some 96,000 acres of recently-classified Forest Preserve lands, including the Boreas Ponds Tract. Hours before attending the meeting, I went on a bushwhack. Armed with a map and a compass, I set out from Blue Ridge Road with an adventurous spirit into a dense coniferous forest. Meandering along the icy outlet of Vanderwhacker Pond, the sounds from the road began to fade as I followed a bearing of 31 degrees. The babbling stream flowed clearly between unstable ice bridges, beckoning me further along its sinuous path. A clearing in the trees signaled the presence of the frozen pond itself. 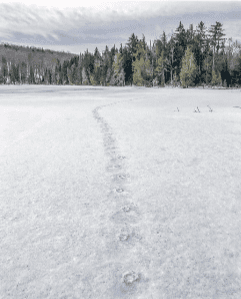 I stepped onto the ice, surprised by the water body’s size, and was suddenly enraptured by wildness. » Continue Reading. While navigating the spellbinding terrain along the Pacific Crest Trail, I found it difficult to resist the temptation to take photos. Each endless vista around each corner was more jaw-dropping than the last! As I hiked onward, smartphone in hand, impermanence was weighed against the magnitude of the moment. “After all, you may never see these places again,” reminded my sage hiking partner. I had to contemplate whether looking at the staggering scenery through an electronic screen was detaching me from the present experience. » Continue Reading.